This process requires an existing GitHub git repository. We recommend using the Auto-connect integration panel to connect multiple repositories from your GitHub.com account. GitHub.com is selected by default. Enter Username and paste the personal access token in the Password field. On the following screen, Git Integration for Jira add-on will read all available repositories from your GitHub account. Click Import repositories. 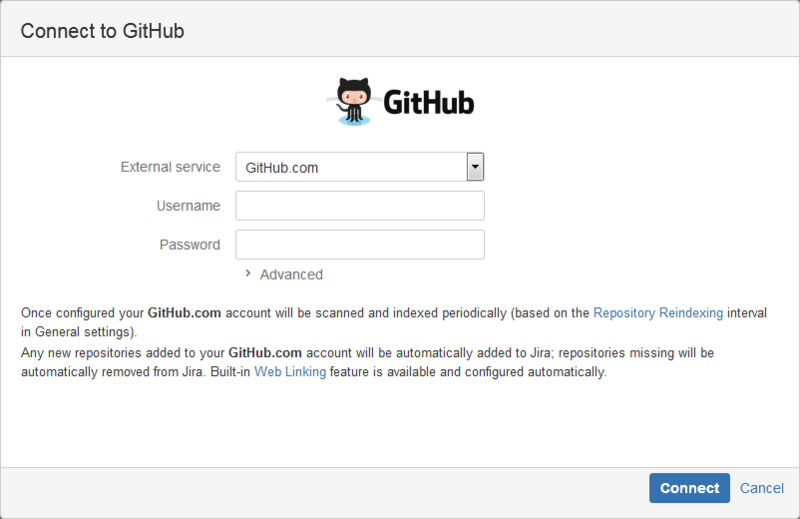 Repositories of the logged-in GitHub user can be automatically connected to Jira Server. Repositories that are added or removed from GitHub will be likewise connected or disconnected from Jira Server. There will be a slight delay in adding 2FA-enabled repositories compared to others. These will show in the git configuration list eventually. This process requires an existing GitHub git repository. Look for the the GitHub repository URL on the repository project page. Use this information to connect the GitHub git repository to your Jira server via Git Integration for Jira add-on - dashboard Git menu > Manage repositories > Connect to Git Repositories. Login to your GitHub.com account. While users have configured PAT for repository access, users in a GitHub Organization must at least have Read permissions. This allows them to view commits and smart commits, and browse repositories (if enabled) of connected GitHub Organization repositories inside Jira. 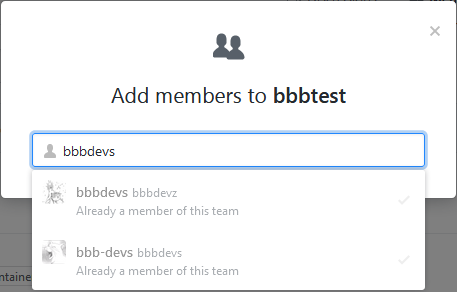 GitHub Organization: For collaborators and commit authors, set these users to have Write permissions. This will allow them to view commits and smart commits, browse repositories and also enables them to create branches and pull requests to specified GitHub git repositories via developer panel of a Jira issue. The Git Integration for Jira add-on automatically configures web linking for GitHub git repositories. This process requires a GitHub git repository and a PAT with repo scopes. 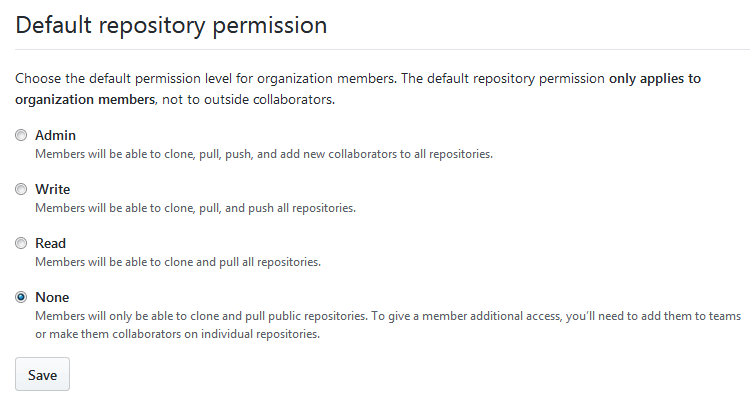 For GitHub Organization, the user must have the Write permissions and the repo PAT scopes. The pull request is also ready for approval by the reviewers in your GitHub web portal.